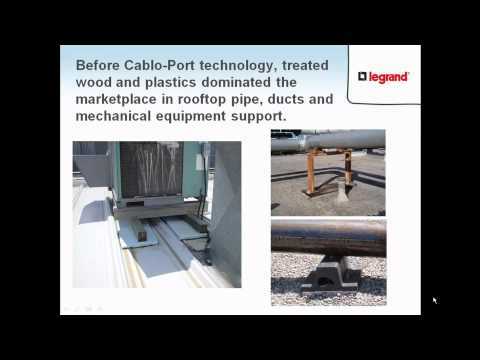 Designed as sleeper: for HVAC units, cable pathways, roof walkways or other applications. Two (2) bases bridged with 1 5/8” galvanized channel (12 ga.) or FAS P.
Install on any roofing material or other flat surfaces. Supports are available in three finishes. Channel can be used to support: wire mesh cable tray (secure with FS41 Spring Clips). Standard series: maximum load 500 lbs. Widebody design: has 1,000 lbs/ft maximum load and provides 5 times the surface area to minimize roof material pressure, increase load capacity and provide over 120 square in/ft for glue application.